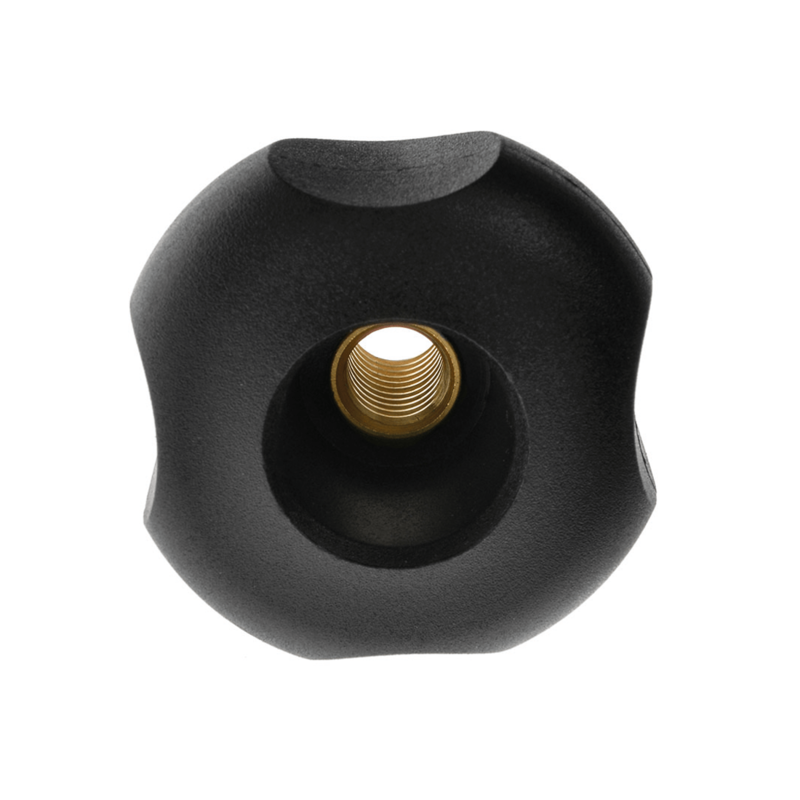 Black nylon with a female open brass thread. Please click the product code for more information. Open ended handwheels are a unique range of female handwheels that are 'drilled through', enabling open ended handwheels to be threaded onto a variety of thread lengths from M4 up to M16. The female brass thread is non corrosive on these drilled through handwheels, making them strong, durable and anti corrosive, suitable for a wide variety of applications.